For assistance with or questions about any facet of juvenile law in or around Statesville, NC, please contact our office. Parents naturally want the best for their children. The drive to nurture, protect, and grow into contributing and valued adult members of the family and society is one of the things that makes us human. Juvenile law is an important and needed section of the law when juveniles and those not legally recognized as adults either run afoul of the law or require professional legal assistance for other matters. By considering the actions and well-being of the juvenile as well as their non-adult status, juvenile law often finds itself attempting to co-ordinate or manage multiple interests such as justice, fairness, and concern for physical, mental, and emotional well-being. Minor infractions of the law have been a part of many people’s lives. The vast majority of people consider these youthful mistakes or indiscretions as just that, and they are able to move forward to becoming productive and needed members of their families, their communities, and volunteer and religious organizations. Unfortunately, some of these occurrences in more modern times can result in a minor being charged as an adult, with the potential for major damages and life changes as a result. Juvenile law also considers the custodial responsibilities of parents or other caregivers and how to fairly designate the responsible party and ensure that all major adults in a child’s life are present and equitably contributing to the life, education, and success of the child. For assistance with or questions about any facet of juvenile law in or around Statesville, NC, W. Sloan Goforth, Attorney at Law, has the years of experience and the breadth of knowledge to help you. 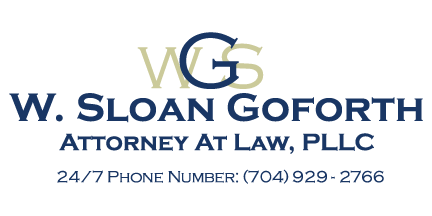 At the office of W. Sloan Goforth, Attorney at Law, we can help with juvenile law cases for residents of Statesville, Troutman, Taylorsville, Mocksville, Mooresville, Hickory, Iredell County, Alexander County, and Davie County, North Carolina.